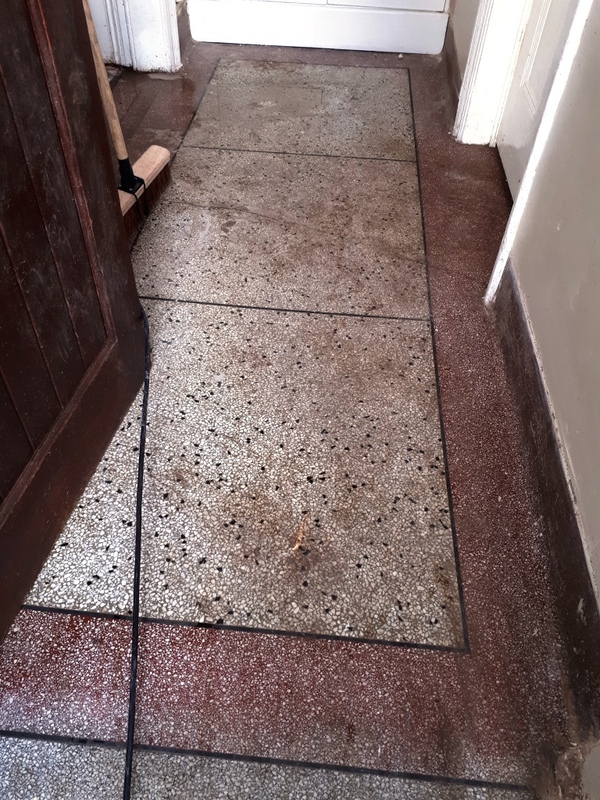 This entry was posted in Terrazzo Posts and tagged Cleaning, Dudley Birmingham, Old Terrazzo, Renovation, Sealing, Terrazzo Hallway by AbzDominise. Bookmark the permalink. 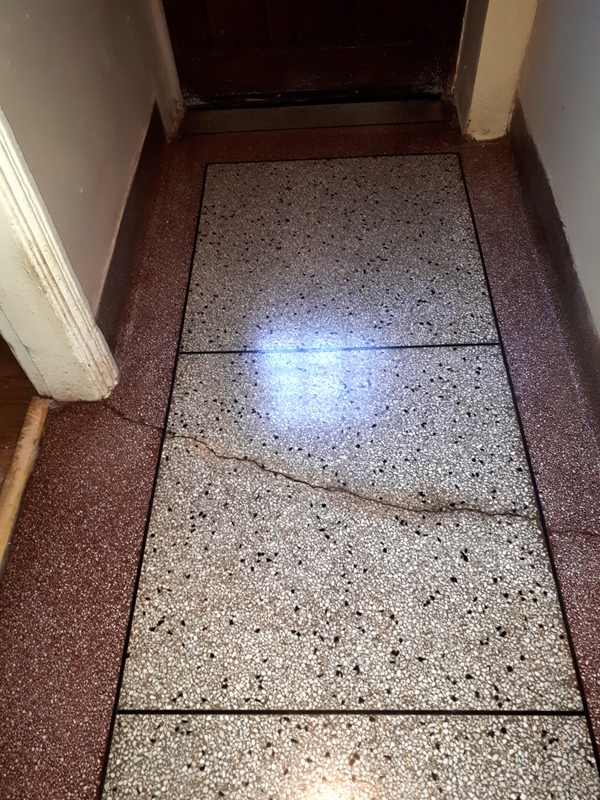 All tile sealers wear down over time depending on use and what products are used to clean the floor, so if you do want to keep your sealed floor looking its best talk to Tile Doctor to work out a maintenance program for your tiles.